Being on SEA server, I’ve access to the NA server without paying for another account. Recently, I moved to the NA server simply because there are more players there than SEA. As I’ve not been playing for months, it’s more comfortable to play in 1 v 1custom game mode. For those who do not know, there are maps in the custom game whereby it’s meant for 1 v 1. The game will start automatically once two players filled the game. It serves as a practice platform to try out new things or play other races. Of course, unlike the typical ladder system, you don’t get restricted to the opponent you’ll get paired with. In SEA, there are so few players that I’ve to wait for god-know-how-long for a game. While in NA, I can start a game on any of the maps (Cloud Kingdom, Daybreak, Ohana) within 10 seconds. Apart from the fundamental reason that there are more players on NA, the delay is less significant in comparison to SEA. That’s probably because I live in Brisbane (Australia). Of course, this isn’t the first time that I’ve played on NA. When the region switch was first introduced last year, I did try to play on NA. I was in the gold league for SEA, and I was placed in platinum in NA after 5 placement games. Since then, I’ve never logged into my NA account. Since I’ve not played a single game in NA for a year, my league placement is reset. After 5 placement games, I was placed in silver league. That’s a fair assessment of my skill since I failed to hold a cheese from a player who played random in silver. I lost against a diamond player for my first game in season 4 which is my placement match. I was promoted to diamond and hopefully I can move to master after I’m done with my thesis. I observe some differences between NA and SEA players. Obviously, the following points are simply based on my personal observation which may not be a gauge to generalize across servers. SEA players are stronger than NA players who are of the same league rank. Many will beg to differ, but it appears to be that way to me for diamond and below. Again, that’s only based on the games that I played. NA players have a more diverse set of strategies and build orders than SEA. SEA players tend to play more ‘standard’, and play according to the metagame. NA players often caught me with some surprises, and they tend to all-in and cheese more. I shall carry on to work toward a promotion to master in NA before moving back to SEA. While playing a game against a Zerg, my ‘A’ key on my keyboard pops out. The plastic on the key cap broke! I played the rest of the game without using hotkey for ‘attack’ and building ‘marine’. 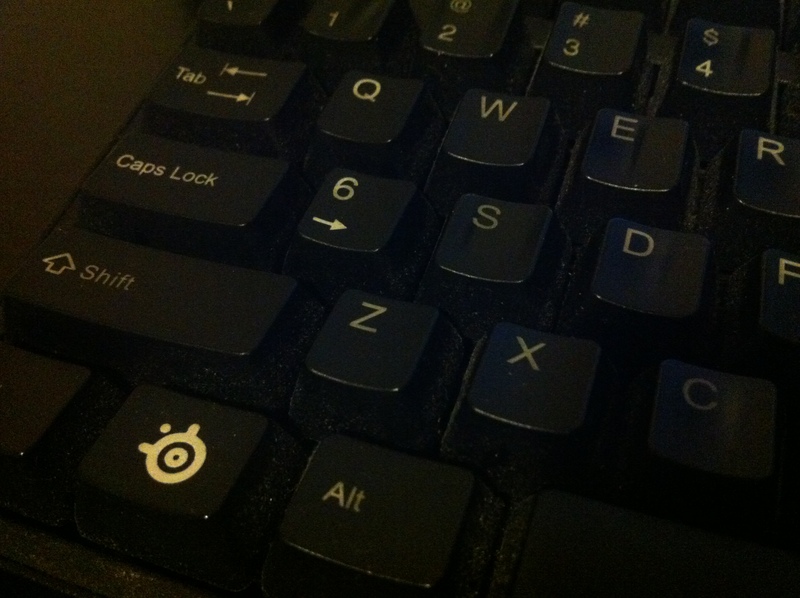 The keyboard that I’m using is Steelseries 6Gv2. I must say I’m quite disappointed with the keyboard. 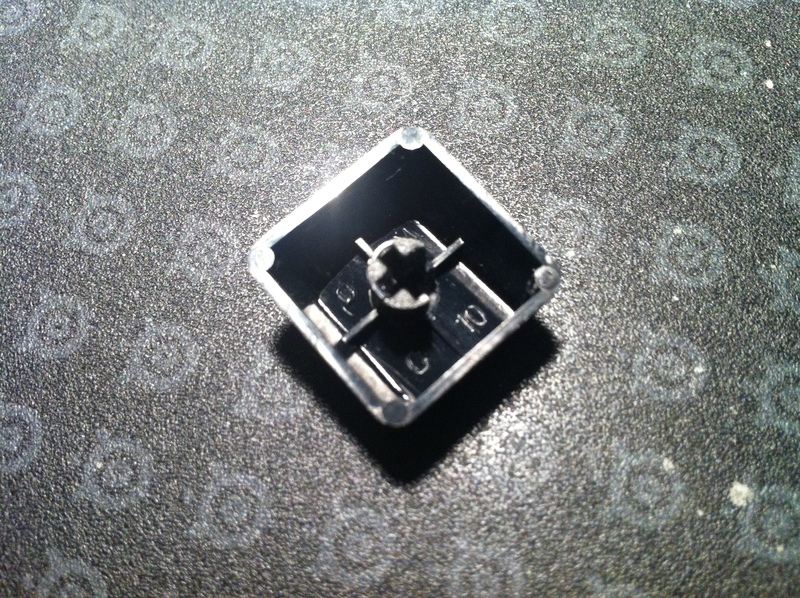 There’s nothing wrong with the switches, but the actual physical key caps are mediocre. The keys often pops out, and I’ve to fix them back. I can easily remove any keys from the keyboard as if they are just resting on the switches. The keys on each row are of different shapes, so I’ve to replace ‘A’ with a key from the same row. ‘6’ on my num pad is sacrificed. Just a week ago, I was asked if I love any brand. My reply was Steelseries because I was so impressed by their mouse. I’ve never gone back to any other mouse since I bought Xai. I will expect the Steelseries keyboard to be of the same quality as their mouse (cite whatever brand theory you want). Time to search for a new mechanical keyboard. This is a good read for those who are in search of a mechanical keyboard. Probably I’ll move to Cherry brown switch. I can feel the fatigue after a long game using black switches on my 6Gv2.